Please Note: The steps below should only be used for section 1 items. Section 2 items are tracked and expensed through the Product Purchases report (See Close Year-End & Run Tax Reports for more information). 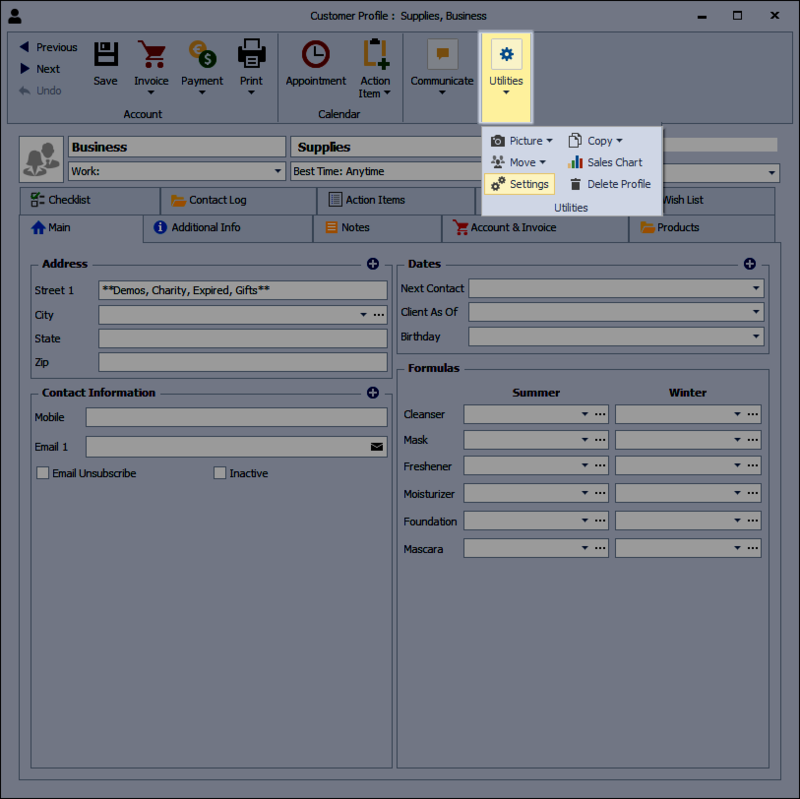 Create a customer profile called Business Supplies. From the profile tool bar click, to open the profile settings. Under the Discount Type drop-down list select Business Supplies (this will set the Invoice Followup to 0 days, Email Invoice to No, and the Discount to 50%). Under Options, check Exclude from Dashboard. 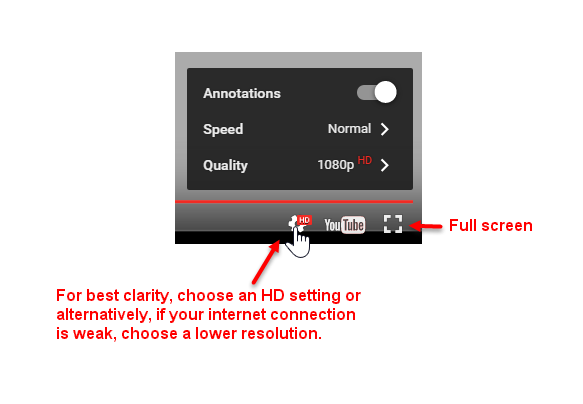 Click OK to close the settings form, then to close and save the profile. When you invoice the business supplies profile for section 1 demos, donations, lost, damaged or expired product it is similar to invoicing for personal use except that there is one additional step which is adding an expense entry. This allows you to categorize your expenses without double deducting on your taxes. Create a new invoice for the items under the Business Supplies profile. 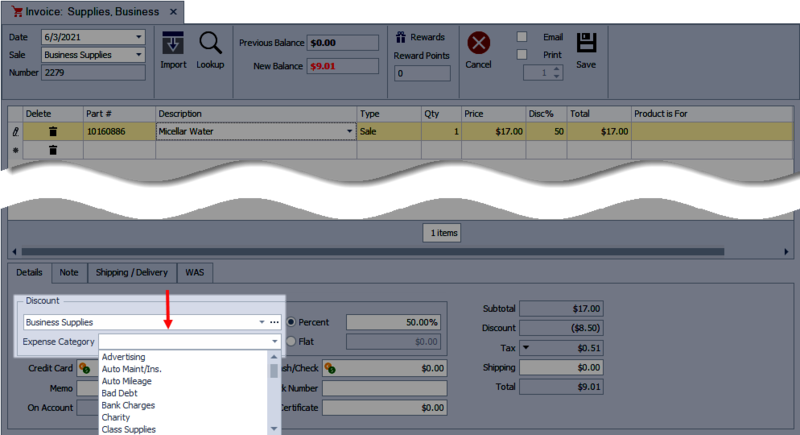 Under the Details tab, mark the invoice as paid-in-full by clicking to the left of the Cash/Check field. For additional information, enter a short description in the Memo field. Click the Discount tab. Under the Discount Type section select the appropriate category from the Expense Category drop-down list (use suggestions below or seek the advice from your tax professional). Expired/Lost: product that is past its prime, and being thrown out (to view a list of expiring items, go to the Business Tools menu, select Reports. Under the Inventory section view the Expiring Product Listing report). Another use for this category would be product that is lost or damaged in shipment to a customer. For more information on categories, see Expense Categories & Payees. By invoicing your business supply situations using the steps above, all of the transactions will be grouped together, and easily accessible under Sales Transactions. From the Shortcuts form, click on Sales Transactions (or from the Business Tools menu, select Sales Transactions). In the Filter sidebar, select the appropriate Date Range. From the Invoice Type drop-down, choose Business Supplies. For more information on Sales Transactions and further options, see Sales Transactions.